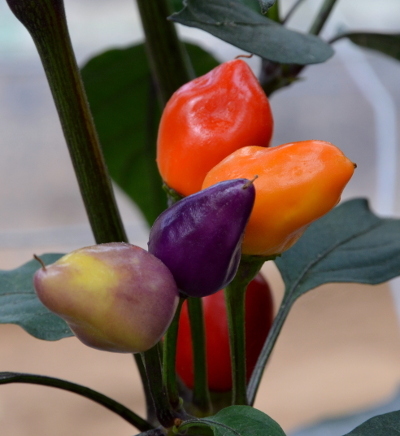 The compact and productive plants carry attractive pear shaped chillies in a range of bright colours. 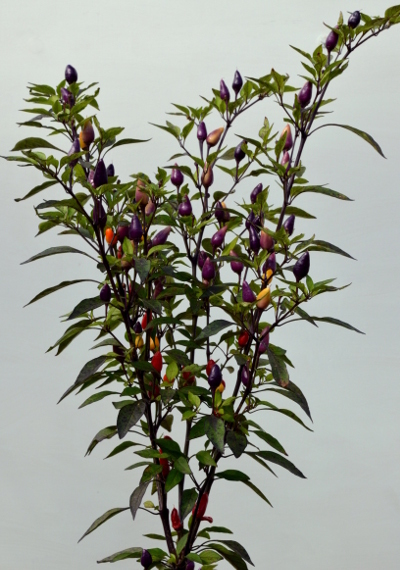 The colourful chillies contrast nicely with the dark foliage, making Bolivian Rainbow one of the most attractive of the ornamental chilli plants. 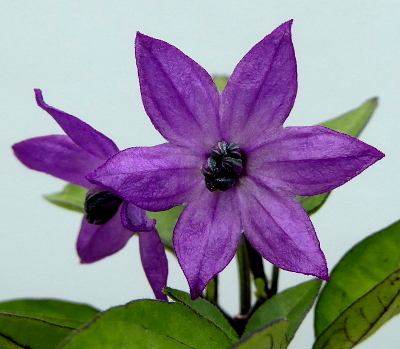 Fleshy chillies with a pleasant flavour and not too hot. 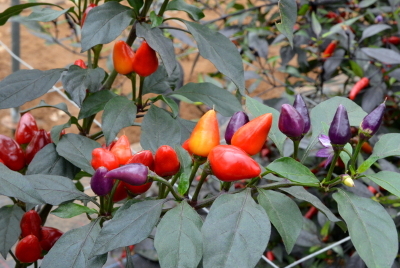 The inside of the chillies, however, is filled with the core and seeds which limits their culinary use.